The Word of God also teaches that we are all conceived and born sinful and are under the power of the devil until Christ claims us as His own. We would be lost forever unless delivered from sin, death, and everlasting condemnation. But the Father of all mercy and grace has sent His Son Jesus Christ, who atoned for the sin of the whole world, that whoever believes in Him should not perish but have eternal life. In Holy Baptism God makes us members of His Son, our Lord Jesus Christ and an heir of all the treasures of heaven with all believers in the one holy Christian and apostolic Church. A person are baptized into Christ AND the fellowship of ALL believers of Jesus Christ. Taken from the Baptismal Liturgy in Lutheran Service Book, page 268ff. It is the practice of Saint John's Lutheran Church to baptize individuals of all ages. 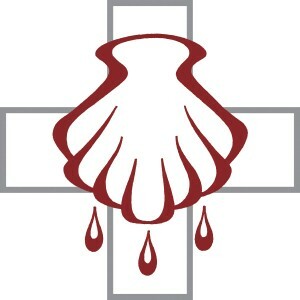 While membership at Saint John's is not required for a baptism to be scheduled, it is highly suggested due to the nature and meaning of baptism. There should be an intent of the individual (and parents) to grow in the Christian faith as our Lord expects. It is our regular practice to do baptisms during one of our regularly scheduled worship services. A private baptism may be scheduled, after discussion with a pastor if special circumstances warrant. Those circumstances are rare. If you prefer to print off the form in PDF and complete it, please use this form. From ancient times the Church has observed the custom of appointing sponsors for baptismal candidates. In the Evangelical Lutheran Church sponsors are to confess the faith expressed in the Apostles’ Creed and taught in the Small Catechism. They are, whenever possible, to witness the Baptism of those they sponsor. They are to pray for them, support them in their ongoing instruction and nurture in the Christian faith, and encourage them toward the faithful reception of the Lord’s Supper. They are at all times to be examples to them of the holy life of faith in Christ and love for the neighbor. Sponsors should be selected with great care and prayer. Sponsors should be frequent worshipers at a Christian Church that practices infant baptism.